Escrito el 18th Septiembre 2017. Alongside our #WatchInColor initiative, TVCortos continues its commitment to creating new opportunities for filmmakers of all backgrounds. 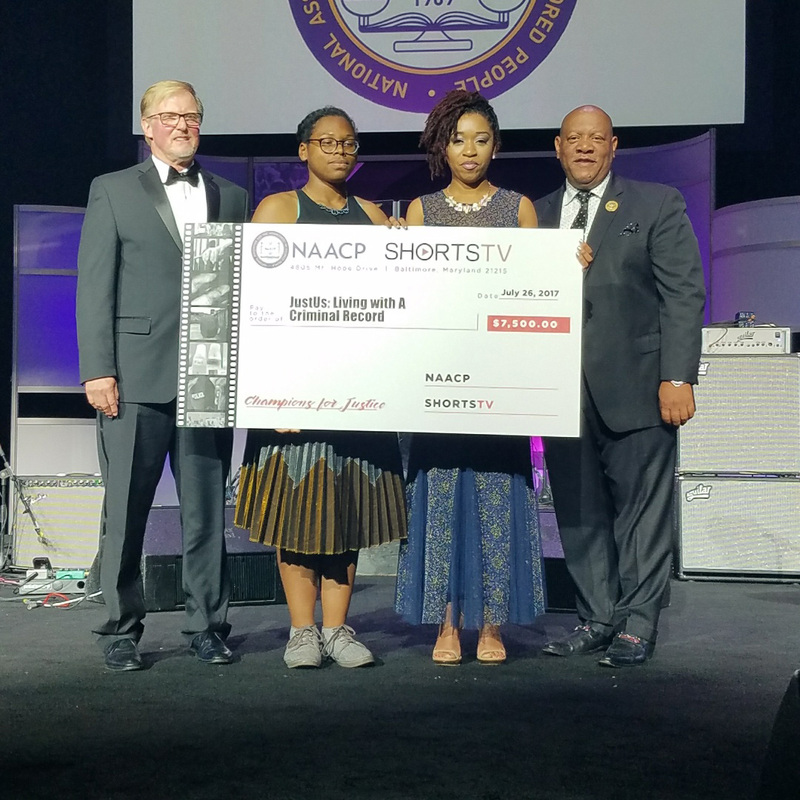 This July, the National Association for the Advancement of Colored People (NAACP), in collaboration with TVCortos, launched the “Champions for Justice” short film competition that was held at the NAACP’s 108th Annual Convention in Baltimore, MD. The competing short films addressed highly relevant issues facing the African-American community today by telling the untold stories of attendees at the Convention as well as the common folk in the streets of Baltimore. Six young filmmakers between the ages of 18 and 29 were selected to serve on three teams of two as part of the final competition. The team addressing police violence were filmmakers Shaqueal Wilson of Baltimore, MD and Emmanuel Barrington Pickens of Saginaw, MI. Filmmakers on the team addressing the school-to-prison pipeline were Tykhari C. Christopher of Newport News, VA and Michelle Cecilia Carter of Washington, D.C. Finally, addressing the issue of living with a criminal record were filmmakers Erin Gaddis of Rowlet, TX and Mecca Amoni Michele Lewis of Baltimore, MD. Through images, video clips, and person-on-the-street stories and interviews, each team of filmmakers worked under the guidance of a producer-mentor with a small budget to produce a five to seven minute short film during the beginning days of the NAACP convention. The NAACP showed the final products to attendees and allowed them to cast a vote for the best film, which was awarded subsequently at the convention.